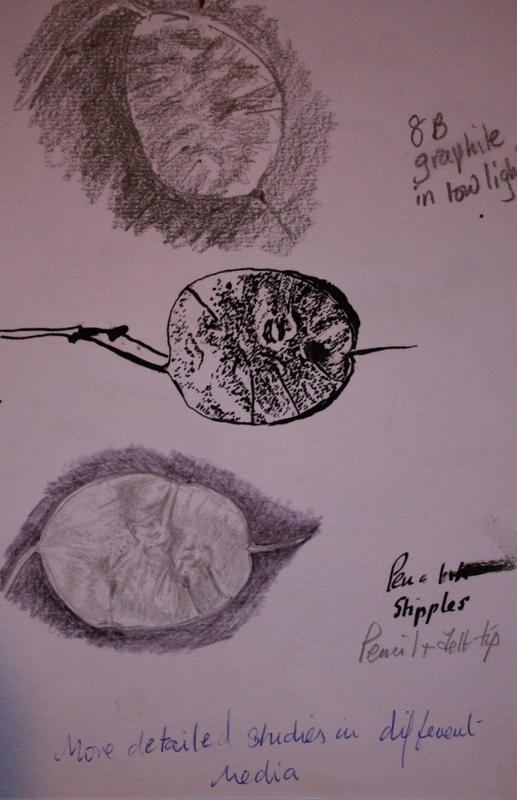 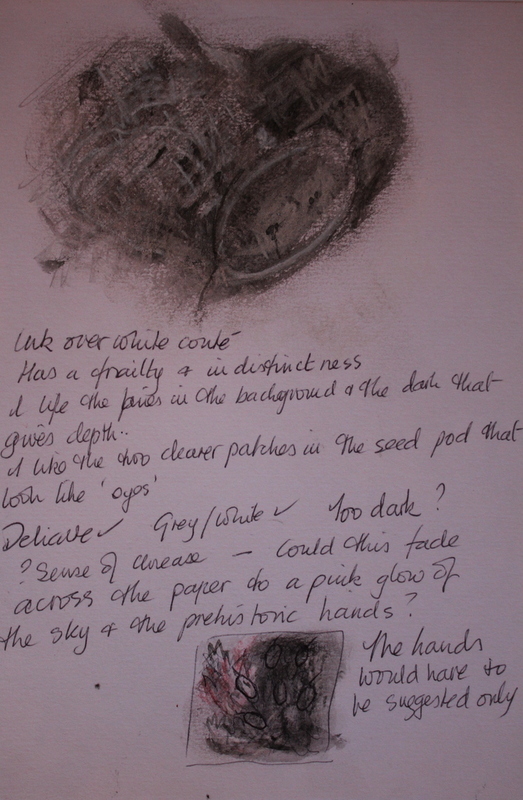 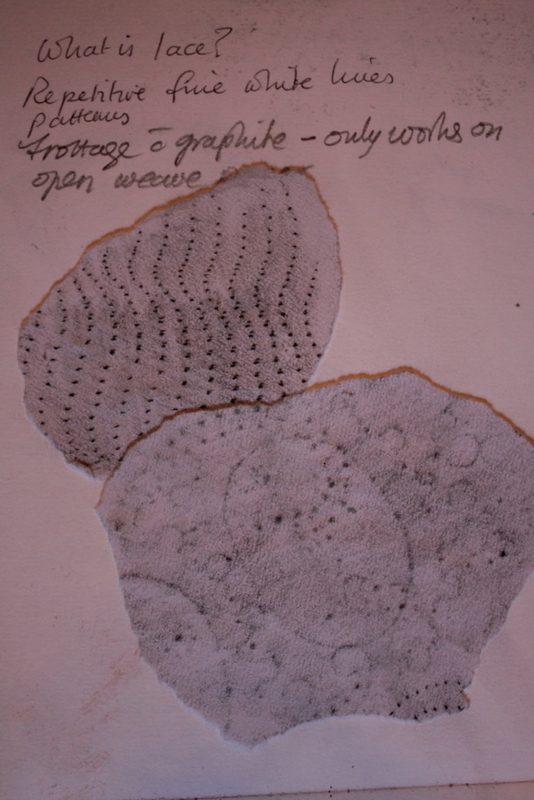 This section involves the investigation of seed pods in variety of media and techniques and the comparison to lace which is investigated as a background. 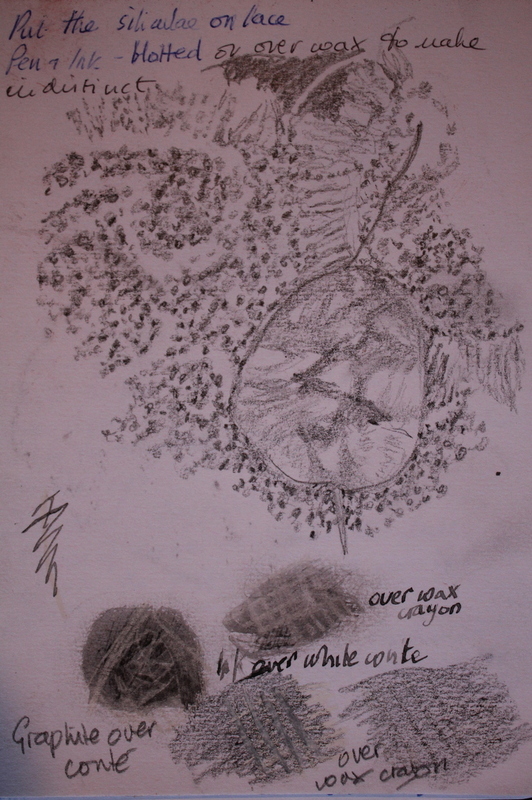 drawn with wax resist, frottage and ink (lower image). 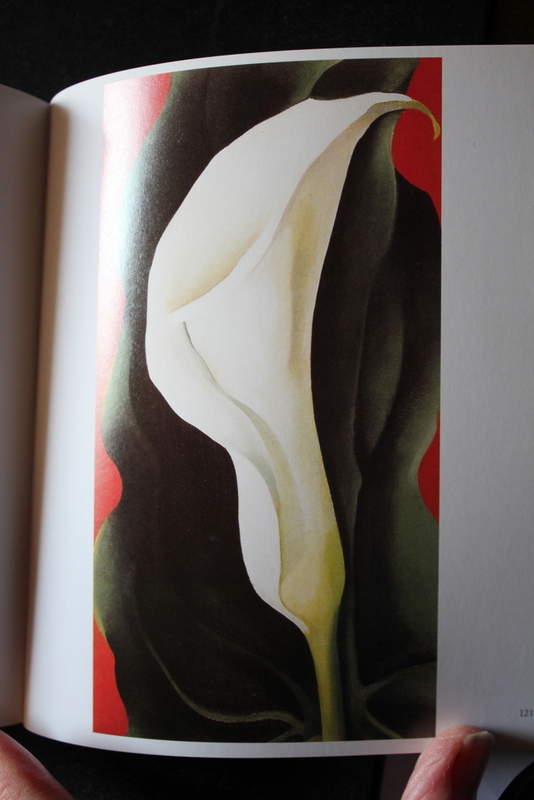 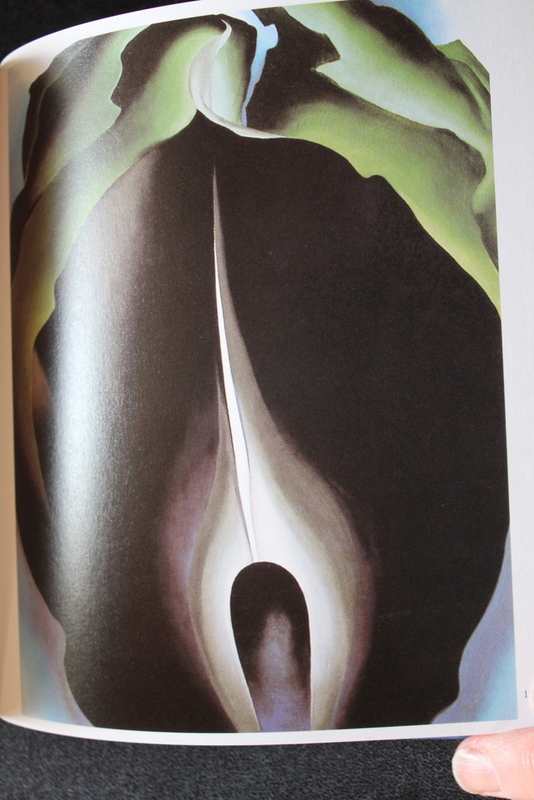 I started at this point to look at images by Georgia O’Keefe. 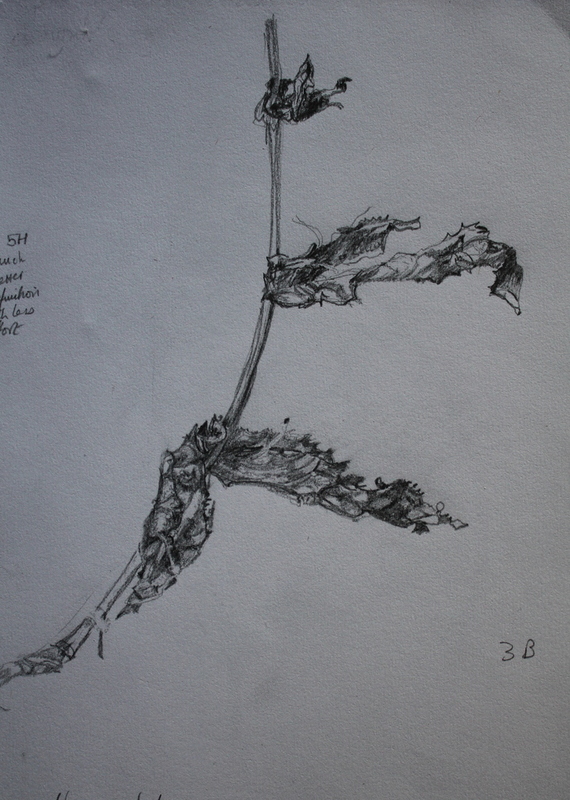 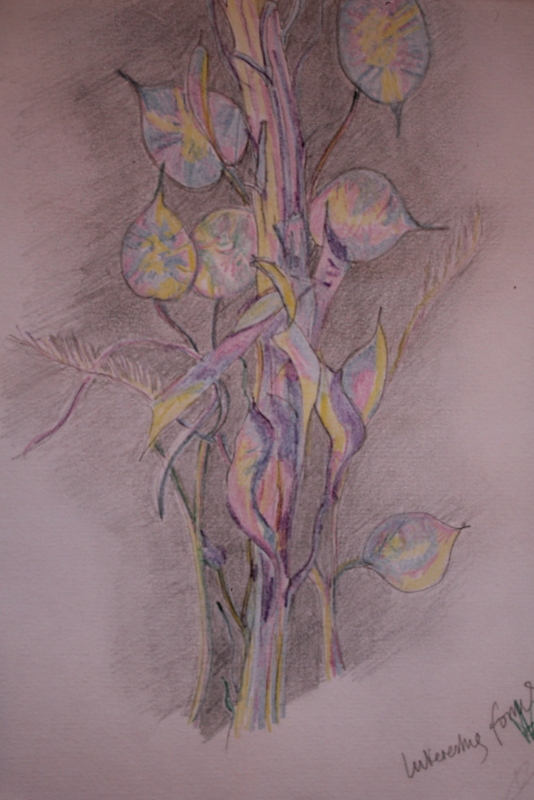 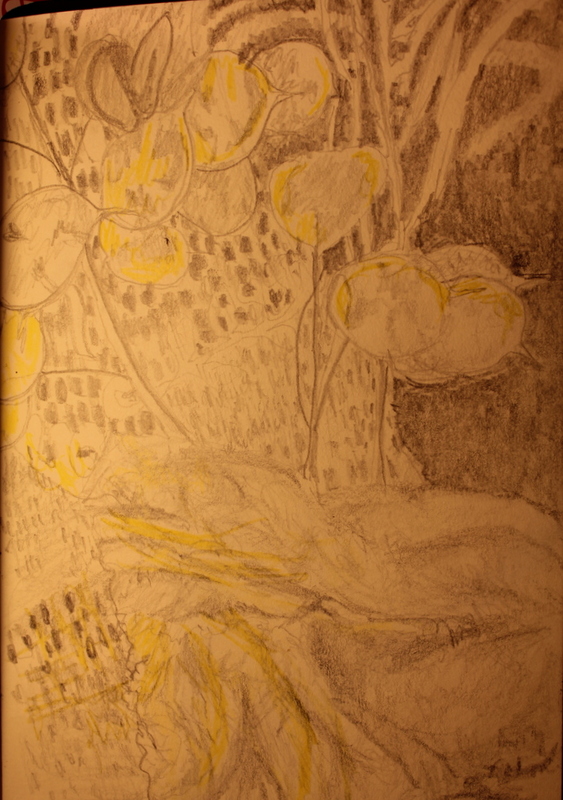 She focused her work on small areas of flowers or plants to produce a simplified, almost abstract images. 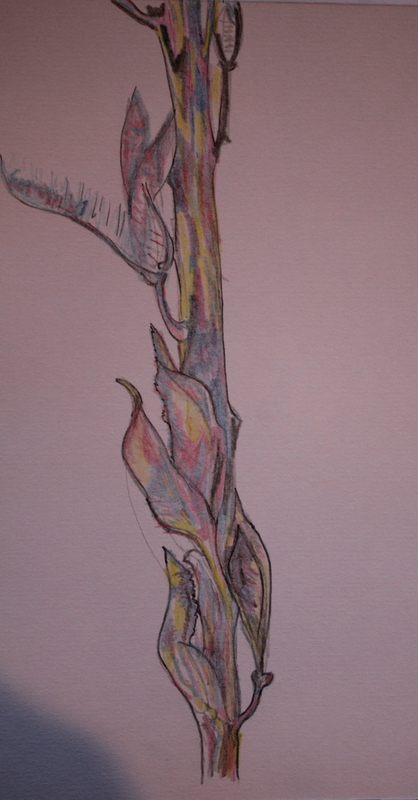 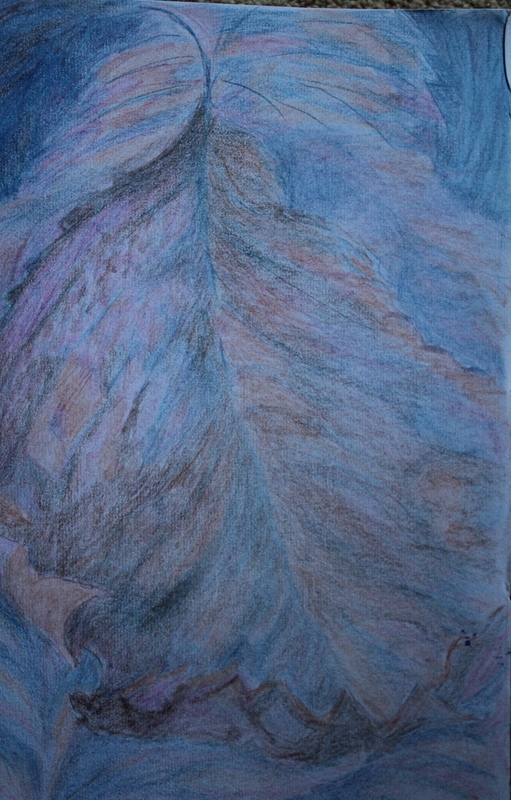 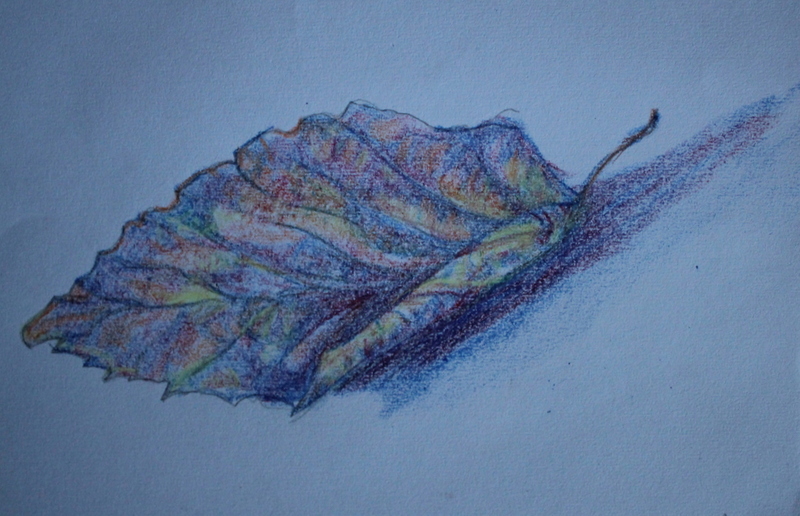 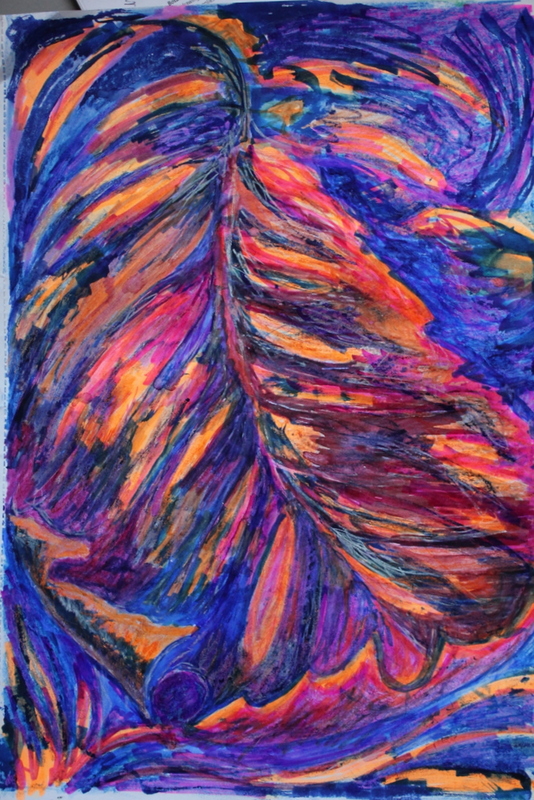 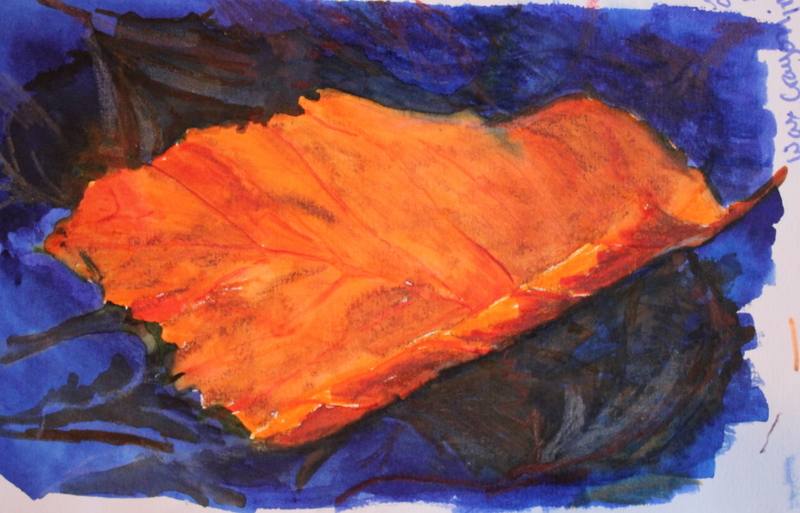 Inspired by Georgia O Keefe :Two images of the leaf above, in which I filled the paper with the image, concentrating on the abstraction of the colour and lines -the first in wax crayon, the larger (A3 sized) in bright felt tip. 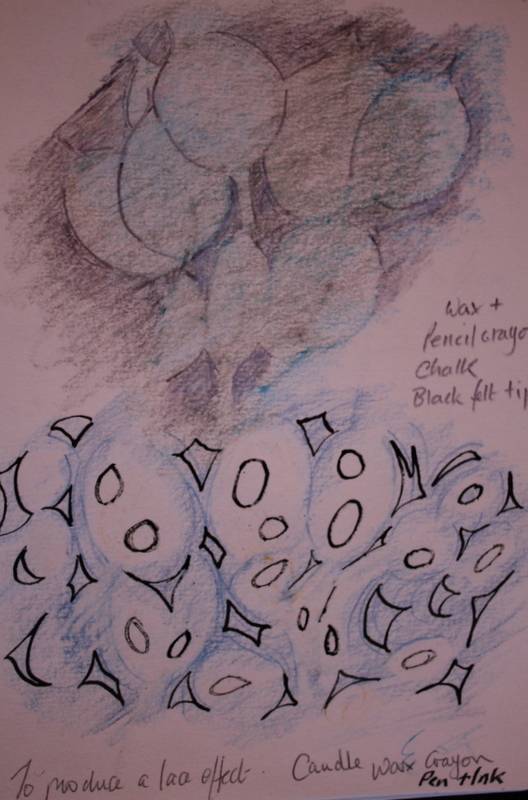 I liked neither of these, they shout too much -too big for detail yet too small to be entirely abstractions. 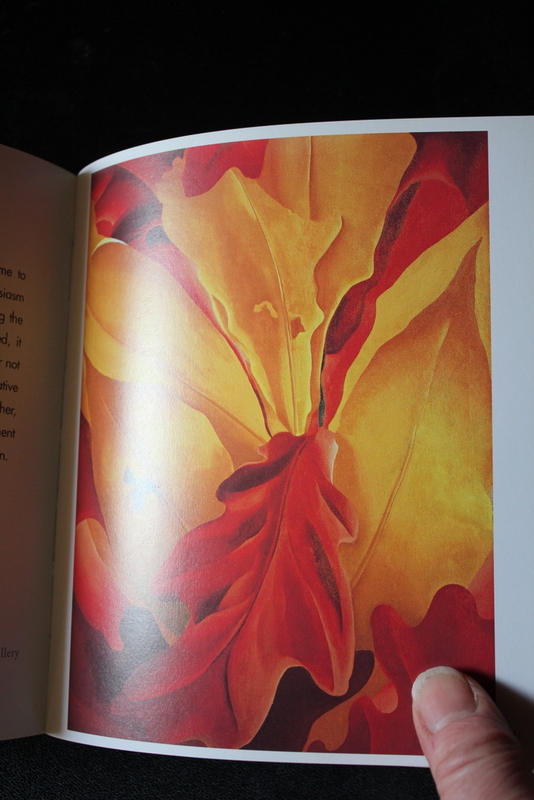 They are unlike O Keefe’s in that they are not smoothly drawn -she puts little texture in the images using relatively flat colours over large areas, often blending into darker or lighter tones.